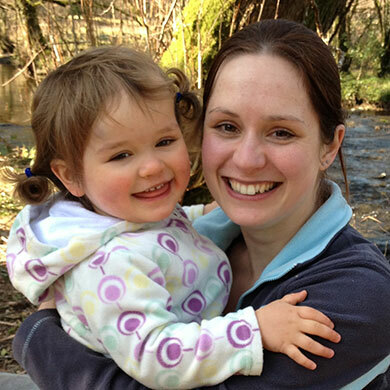 There’s no getting away from it – lots of 2 year old girls LOVE princesses. Even if you have done your best to provide a choice of boys and girls toys, there’s something magical for a 2 year old girl about being a princess. It’s hardly surprising that princess toys are such a popular choice for 2 year old girls – they’re beautiful, shiny and glittery with pretty hair and a huge smile. A lot of princess toys for 2 year olds simply aren’t very good. I’ve rounded up the best ones out there, making it easy for you to buy a princess toy that your 2 year old will love. This shortlist looks beyond the obvious princess-type dolls that you can buy anywhere – to really engage a 2 year old girl who loves princesses, there are ride-on princess toys, Lego Duplo princess sets and beautiful princess palaces! 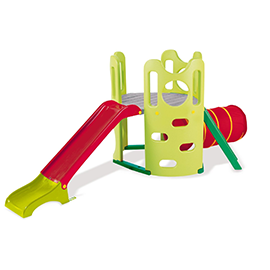 This Fisher Price princess castle is for children ages 18 months up until 5 years, so a 2 year old will be able to play with it for years. The castle is fully interactive with 7 play areas and a magic dance floor that recognises the princess and other characters. The castle is packed full with princess-related features. A fanfare plays when the princess walks into the castle. The dance floor plays the character’s name, popular phases relevant to that character (e.g. “Oh, I lost my glass slipper”) and Disney songs. The kettle whistles when you put it on the stove. You can even pull a lever to make the princesses dance! All of this creates the perfect environment for a 2 year old to enact their favourite princess scenes and create their own, boosting their imaginative play. The pink and purple castle isn’t quite a overly pink as most princess toys for 2 year olds, which is another plus point (for me, anyway)! 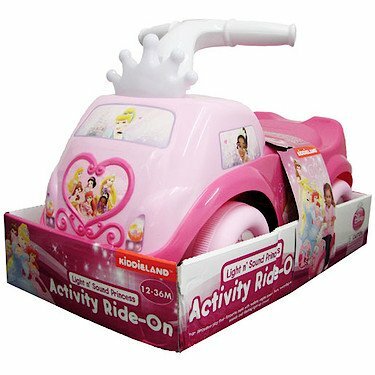 Most ride-on toys for 2 year olds are quite masculine (or at least gender neutral) but this princess ride-on toy is perfect for girly girls! 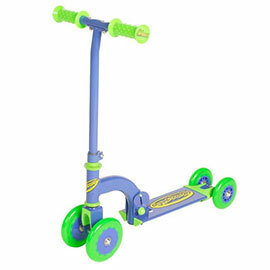 2 year old girls will love the lights and sounds when they ride on this toy. 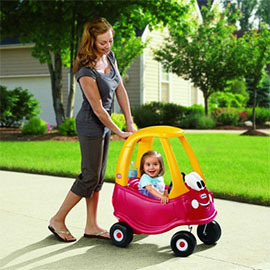 The car has a safe and durable design with white handlebars that 2 year olds will love holding on to. There are plenty of buttons and dials to play with, as well as a flashing light-up grown and princess pictures on the front and sides. There are several sounds including Disney music, a revving engine and horn blinking indicators. There are plenty of princess Lego sets, but these aren’t suitable for 2 year olds due to the small parts. 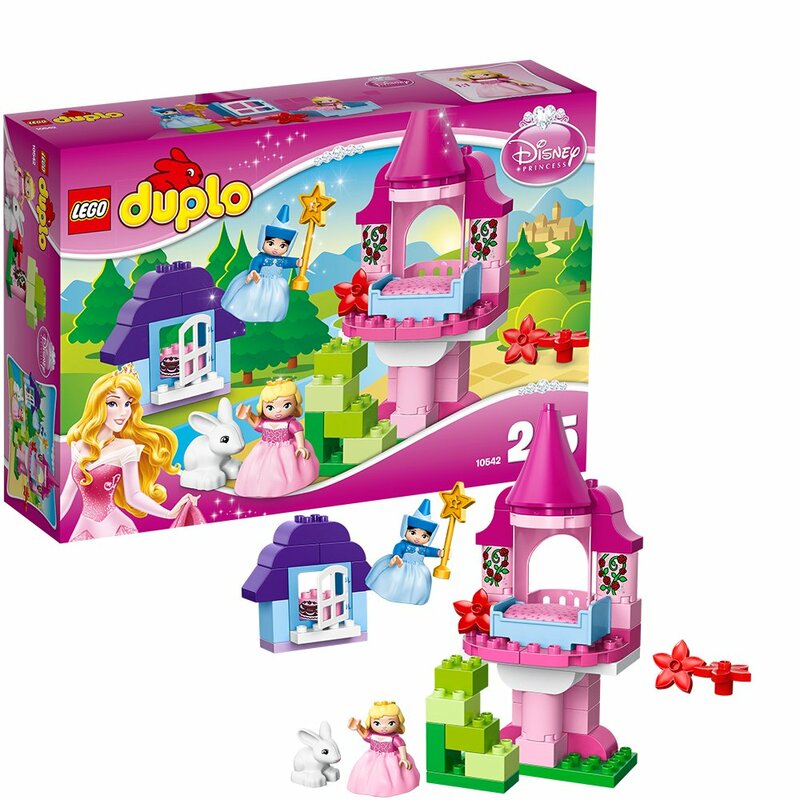 Duplo is much more suitable for this age group, and fortunately there are some fantastic Lego Duplo princess sets to choose from. 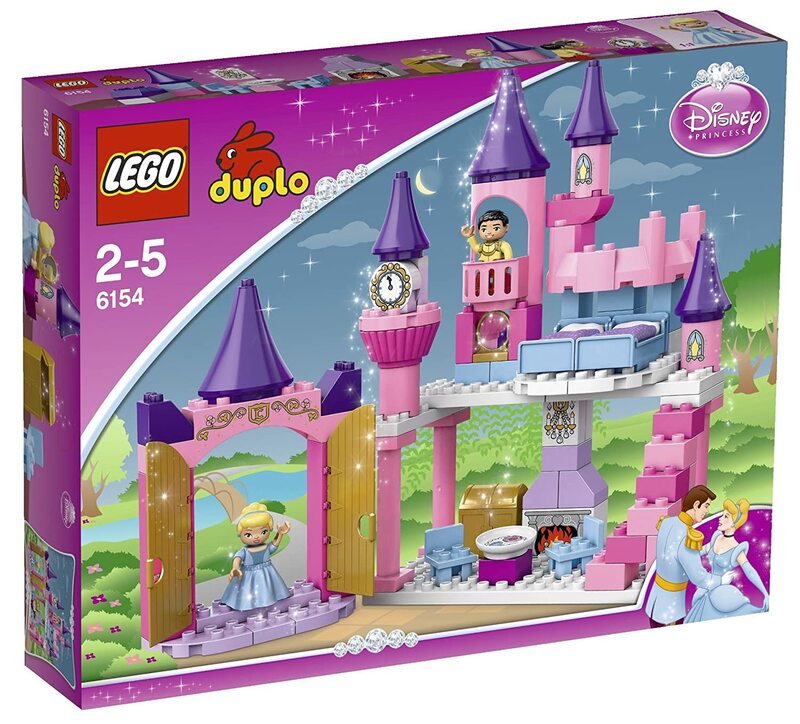 This is by far the best Lego Duplo princess set for 2 year olds and includes an enormous castle with some lovely details, Cinderella and Prince Charming, The castle has towers, a staircase, doors and a balcony. There is also plenty of furniture including a table and chairs, chest, mirror and bed with blankets. The Duplo bricks that are included include some decorated ones – fireplace, plate with biscuits and even a chandelier and portal. This princess toy has fantastic reviews on Amazon and although it’s a bit more expensive than the other two Duplo sets listed below, it is a great gift. 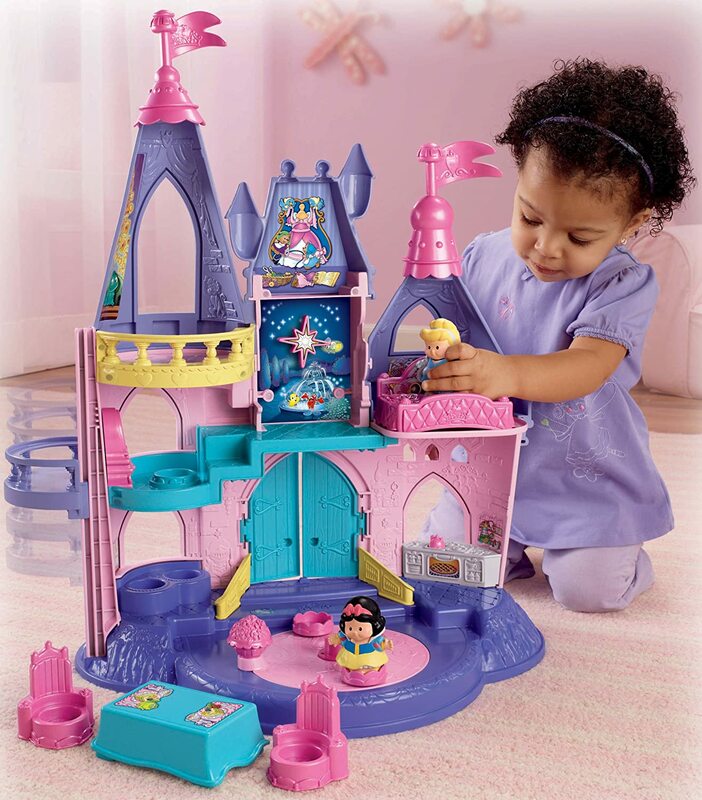 This is a lovely princess toy for a 2 year old and includes a big princess castle, Sleeping Beauty and Merryweather and plenty of accessories including a magic wand, rabbit, Duplo bricks and extra flowers. There’s also a separate opening window which will appeal to 2 year olds. This Duplo set is a nice combination of being girly but not too girly. For example the Sleeping Beauty character is a sensible shape and not too thin, so you can allow your 2 year old to indulge her fantasies of being a princess without encouraging things you don’t feel comfortable with. This princess set is of a Snow White scene. 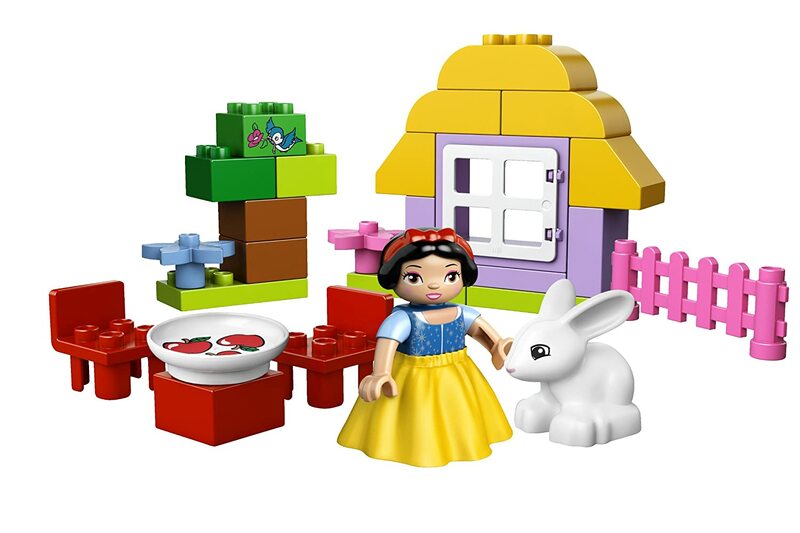 There are plenty of parts to attract a 2 year old’s attention including a house with window, table and chairs, Snow White figure with removable dress, little animals/friends for Snow White and a tree made up of Duplo blocks. If your 2 year old prefers Mega Bloks to Duplo then there is an alternative. Mega bloks have created an ingenious princess toy which consists of a fairytale table complete with castle, sparkly blogs and integral storage so you can store it away neatly (a godsend for parents!). 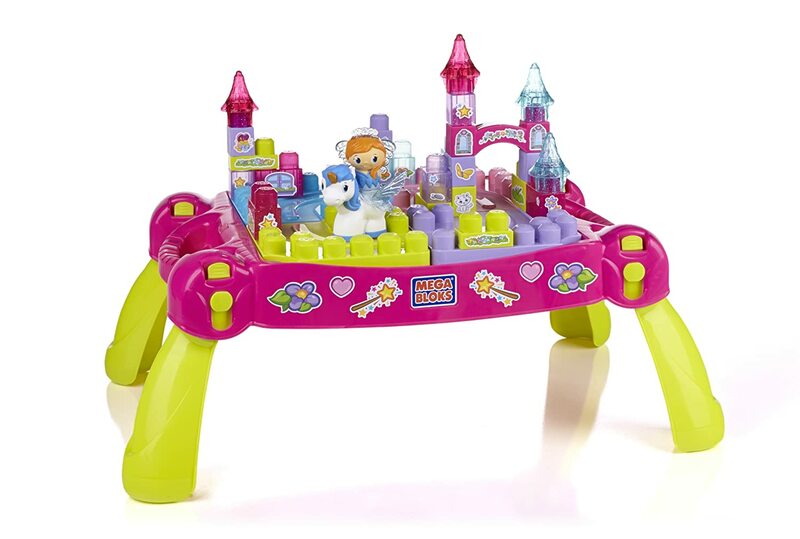 The play table comes with 1 princess and 1 unicorn, and it can be further accessorised with other Mega Bloks Lil’ Princess products (also available from Amazon). Like Duplo, Mega Bloks have nice big blocks that are safe for 2 year olds to play with.